O'Neil's is closed for renovations but it is also being sued. Ho hum. Ghirardelli Square: Two months into the year, and already two relative Ghirardelli newcomers have gone under. Marche closed shop in early January, and now the year-old O'Neill's is shuttered too. 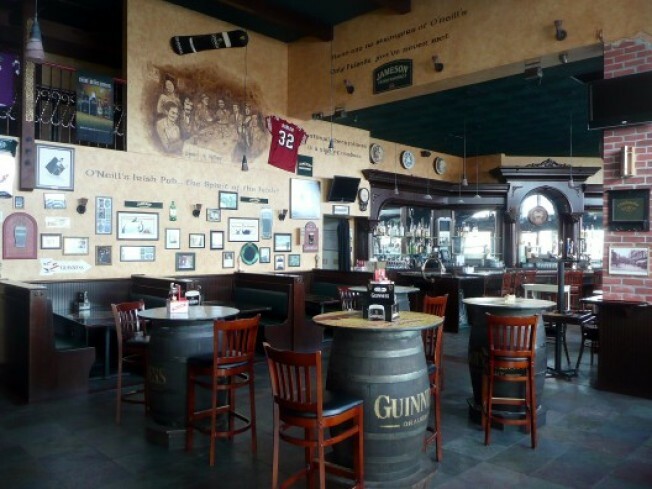 The pub claims it is only down temporarily for renovations, but a spot check reveals that there's likely more at work behind the scenes at O'Neill's besides a simple renovation. Posted on the door is ominous, hefty legal document, complete with the line "You are being sued." That sounds rather unfortunate, but stay tuned for more. NB: the other two locations (at the ballpark and in San Mateo) are still open.